The staff at North Wind Stables has decades of experience and dedication in all aspects of teaching and training riders and horses. 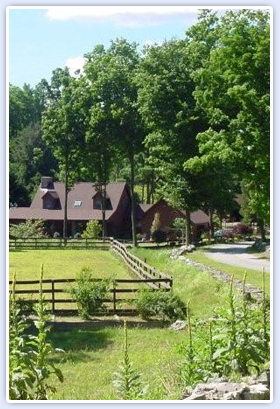 Nealia was raised in the horse industry and established North Wind Stables in 1985. NWS was originally founded and operated in northern Illinois outside of Chicago. With her husband Mark’s transfer to NYC in 1999, Nealia moved the business to northern New Jersey. During her career she has trained many riders and horses to world, national and state championships in equitation, pleasure, performance and driving. While Nealia has made her living training and giving lessons in the English seat divisions, over the years she has become known as one of the top western pleasure trainers in the country for the American Saddlebred. Adding to her already busy schedule and with a desire to give something back to the horses, in early 2006 Nealia became one of three operating directors of Saddlebred Rescue, Inc. a non-profit horse rescue organization. Nealia is a regular speaker at national conferences and writes articles for The National Horseman magazine. North Wind Stables is a family-run business. Mark works on the administrative needs of the business and Nealia’s son Jason Molback has been an assistant trainer for North Wind since he graduated college in 2004. Nealia’s daughter, Jessica Moctezuma is a multi-national and world title winner in performance, equitation and western pleasure, competing internationally as a part of the 2008 adn 2010 World Cup Teams. Jessie currently trains with her Dad in Illinois under the banner of Moctezuma Stables. Erin decided to go professional the end of 2012 to take over the training role at the rescue as well as the Academy Director position and instructor/assistant trainer at North Wind. Like her siblings Erin has ridden with Nealia at North Wind for over 20 years. Erin is an Instructor and the Director of Academy at North Wind Stables. She also works as the Assistant Trainer at Saddlebred Rescue and heads up the placement activity. Erin has worked, tutored and shown under Nealia at North Wind since she was a junior exhibitor and now in to her adult years. That has been over 20 years. Erin is a talented multi divisional exhibitor riding to winning ribbons in the Pleasure Division, Equitation, Western Pleasure, Hunt Seat as well as the Park Division. She enjoys putting winning teams together and she understands kids and horses. Erin has had a mutli year career in equitation riding placing consistently in Top 10 Finals over many of her junior exhibitor years. If you want to learn how to ride in or out of the show ring, enjoy horseback riding and learn good horsemanship you will want to make sure you schedule lessons with her. Erin is a full time HUC-Tech at Pocono Medical Center in the cardiac unit. She is a strong supporter of the American Saddlebred and would like to see you at the Riding Academy at North Wind. Erin wants to talk with you so if you have any questions about after school programs, North Wind's Youth Program, community service for the horse rescue and how you can sign up for lessons, please call her at 815-790-2575. As the son of North Wind founder, Nealia McCracken, Jason grew up fully immersed in the horse business. As a junior competitor, Jason excelled in the pleasure pony ranks, earning two reserve champion national titles. 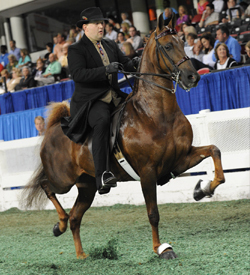 Additionally, he competed in the ASB Western Pleasure division, where he garnered three reserve national honors. Attending college at Salem International University as a computer technology major, Jason took the opportunity to work with Cecile Dunn, one of the nation’s leading equine educators. He graduated from Salem in 2003, and after a brief stint in the business world, decided to return to his first love, horses. 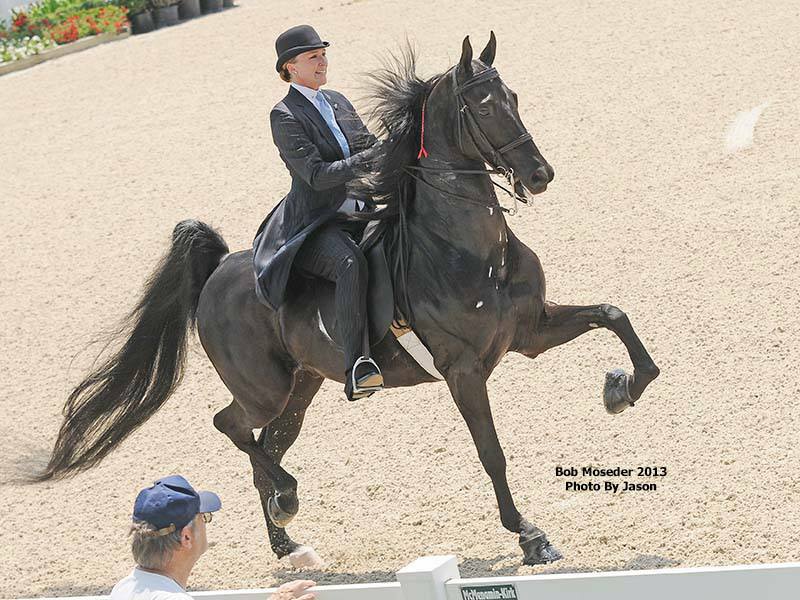 Since committing himself to horse training, Jason has distinguished himself as one of the very few trainers, young or old, to successfully train in all divisions: 5-gaited, performance, pleasure, western and ponies. His recent accomplishments with “Detonator”, a roadster horse also prove his growing expertise in this division. Jason can be a man of few words, but under his quiet demeanor is a competitor who always strives for the best. He emphasizes a calm, consistent approach with both horse and rider. He urges and encourages rider responsibility, but always with kindness and often with a wink of wry humor. In the last several years, Jason has developed another talent for which he is widely recognized: equine photography. Self taught, and then mentored by Howard Schatzberg, Shane Shiflet, Doug Shiflet and Rick Osteen, Jason is in high demand for his over-the-rail shots at horse shows. His discerning “trainer’s eye”, coupled with his artistic and technical talent, combine for pictures that capture a unique beauty and emotion of horse and rider in the show ring.